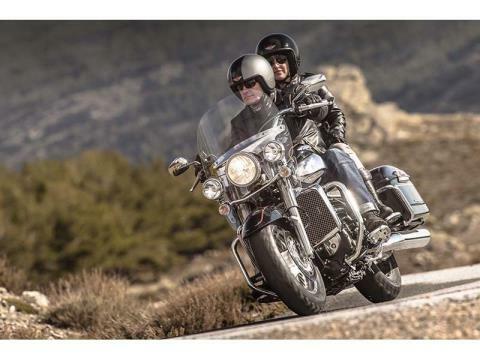 No touring bike has more effortless torque than the Rocket III Touring, with more at idle than most touring bikes can muster at their best. Our head-turning 2.3 liter, 3-cylinder engine is built for long hauls, heavy loads and going places in style. 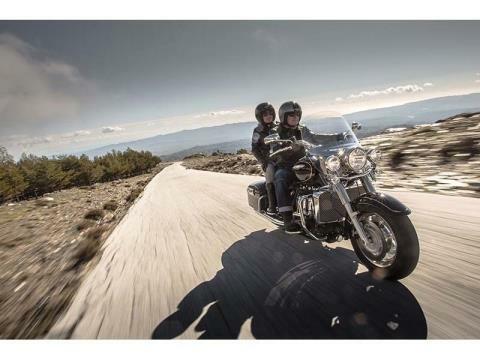 The world's biggest production motorcycle engine, it gives you everything from comfort to performance to street presence, yet is as light and engaging to handle alone or with two people on board. We’ve created a spacious riding position that is relaxed and laid-back with large footboards and the controls sited forward and bars pulled back and high up. 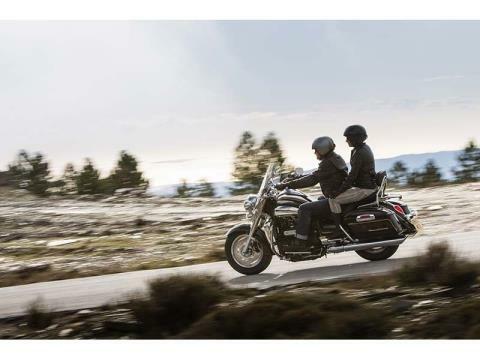 The classic touring position with Triumph rider focused comfort thrown in. We made the Rocket III Touring with an 18 inch wide saddle with a 3-layer construction and taped seams for a ride that’s comfortable all day long. 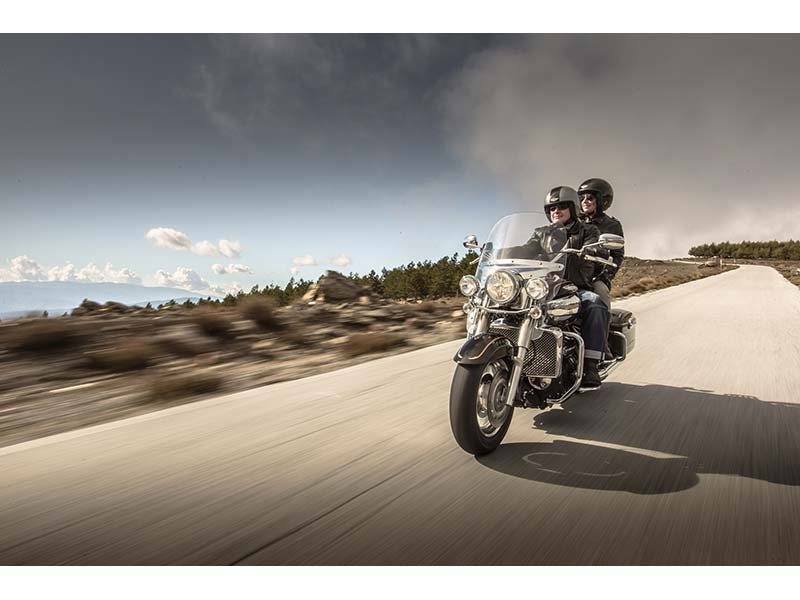 We wanted a wide range of riders to be able to manage the Rocket III Touring easily, even in low speed maneuvering, but still allowed plenty of room for taller riders. So we set the seat height at a low 730 mm for many comfortable hours in the saddle. We fitted small diameter 16 inch wheels and a restrained 180 section rear tire to the Rocket III Touring. Adding to your agility and fluidity. We had to give a bike with such big personality and performance a pair of 4-piston calipers up front on large diameter 320 mm discs. And a big 316 mm disc at the rear so that you have exceptional control as well as feel and feedback. The rear preload is 5-way adjustable and ready for any load you need to carry. Even the fuel economy figures of the Rocket III Touring look impressive. 51.9 mpg at 56 mph and 41.9 mpg at 75 mph means you get well over 150 miles out of a single tank. The classic looks of the Rocket III Touring are backed up by plenty of modern technology. Massive cylinders and crankcases hide double overhead camshafts, 4 valves per cylinder and the latest materials and engine design ideas. Fueling is taken care of by state-of-the-art electronic fuel injection with twin butterflies per cylinder for smooth, predictable throttle control. 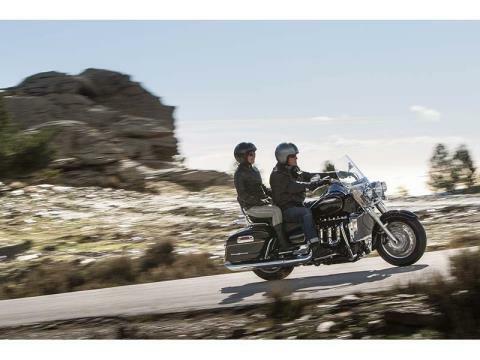 A ride like no other bike, with smooth and powerful yet unintimidating acceleration with any load and on any incline. You’ll find the Rocket III Touring is a gentle giant with its 2.3 liter, 3-cylinder engine that is powerful and flexible enough to reward your riding style. 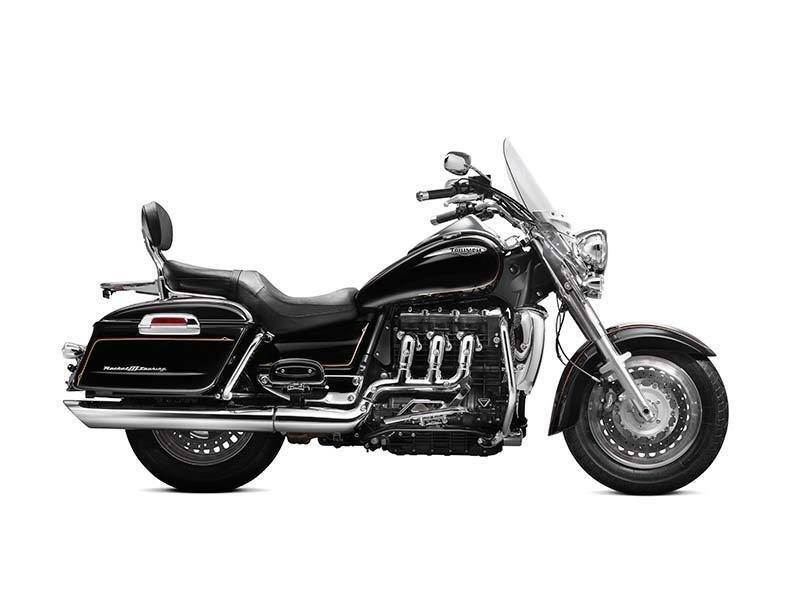 In a different state of tune to the Rocket III Roadster for even more usable torque, lower down the rev range, for a better touring ride. 106 PS at 6,000 rpm and a torque of 203 Nm to be precise. To improve on the already high levels of comfort, we added backrests as standard and a bar mounted screen that can be detached without tools for all day, long distance riding. 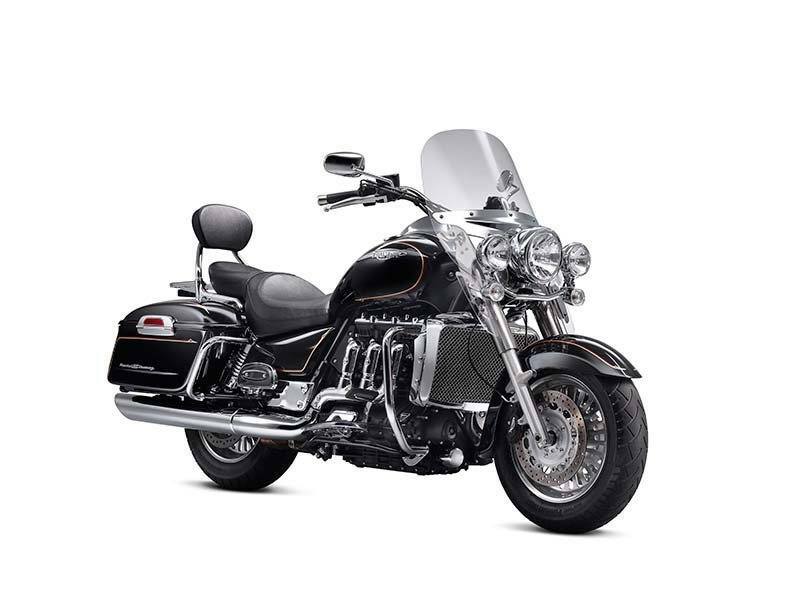 The Rocket III Touring comes equipped with spring-loaded, chrome plated footboards for a bit of extra style and comfort. As a premium flagship motorcycle we equipped the Rocket III Touring with an immobilizer as standard. With an engine like this we didn’t have to hold back on luggage space. So we gave the Rocket III Touring extra generous, lockable, detachable, water resistant panniers knowing that, however much you need to carry, your 2.3 liter triple will hardly notice.